The Associated Press reports today that "more than a thousand Iraq and Afghanistan veterans with post-traumatic stress disorder would be given lifetime disability retirement benefits such as military health insurance under the terms of a settlement reached between the government and the veterans." The veterans had filed a class-action lawsuit in response to the slow pace of the U.S. military&apos;s review of their cases, in which they argued that their disability benefits were lower than that to which they were legally entitled. Michael Scott Moore has reported on PTSD extensively for Miller-McCune of late, discussing most recently its diagnostic origins and whether trauma can affect sufferers at the genetic level. It is, he writes, "a strange, mutable disorder with a confusing variety of symptoms and almost as many physical seats." One can blame confusion and ignorance in part for the status of combat stress as a “murky and sometimes taboo element of soldiering,” Moore writes, but there also has been an aspect of military culture (and culture in general) that takes mental trauma less seriously than physical trauma. The extent to which this stigma is emphasized in part accounts for the far higher rate of reported sufferers of PTSD in the U.S. military (30 percent) than the British military (4 percent). 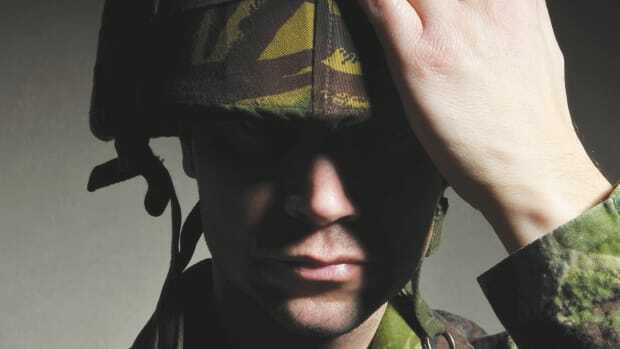 Increasing compensation for veterans discharged for the disorder may signal a lessening of the stigma associated with combat stress; Moore quotes psychiatrist Ulrike Schmidt as saying: "They&apos;re not weak; they&apos;re sick."